Westbury Lot 37 on Ironbridge Blvd. 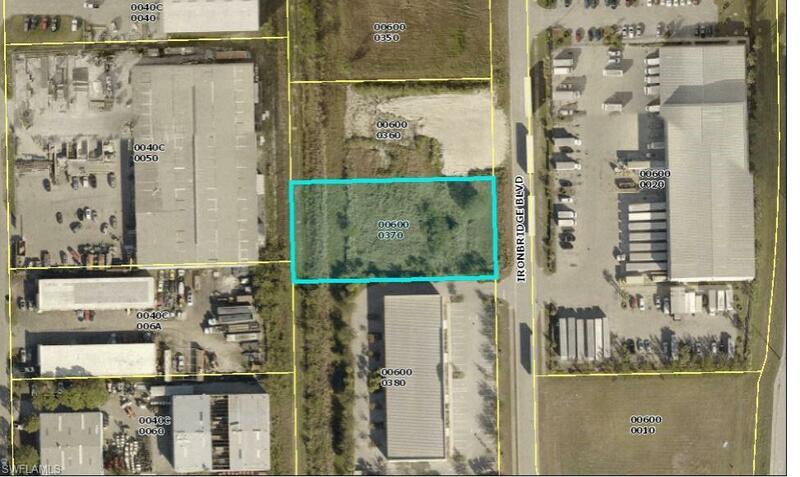 with City of Fort Myers HEAVY INDUSTRIAL zoning. Lot 37 is .85 acres and approximately 135' x 275' subject to drainage and landscape easements, restrictions and covenants. Boundary and topographic SURVEY 2007 and ENGINEERED SITE DEVELOPMENT AND CONSTRUCTION PLANS 2007 associated with grading, drainage, landscaping and parking for 9000sf warehouse are available for Lot 37. Westbury Park is a controlled industrial park with paved roads and underground utilities to site, deed restrictions, and architectural standards. Westbury Park is located at the SW corner of Hanson St and Veronica Shoemaker Blvd. with easy access to Colonial Blvd, I-75, Metro Parkway, and US 41. 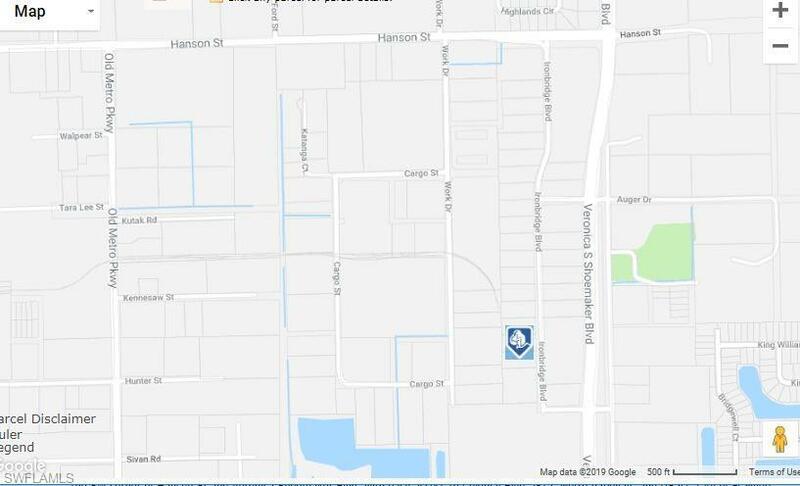 City of Ft Myers Hanson Street Extension Project from Veronica Shoemaker Blvd to Ortiz Ave is anticipated to be completed at the end of 2020. Listing courtesy of Karen Turano of Real Living Cypress Realty.